28 years ago–October 4, 1990–Miss Kayla Crystal came into this world. 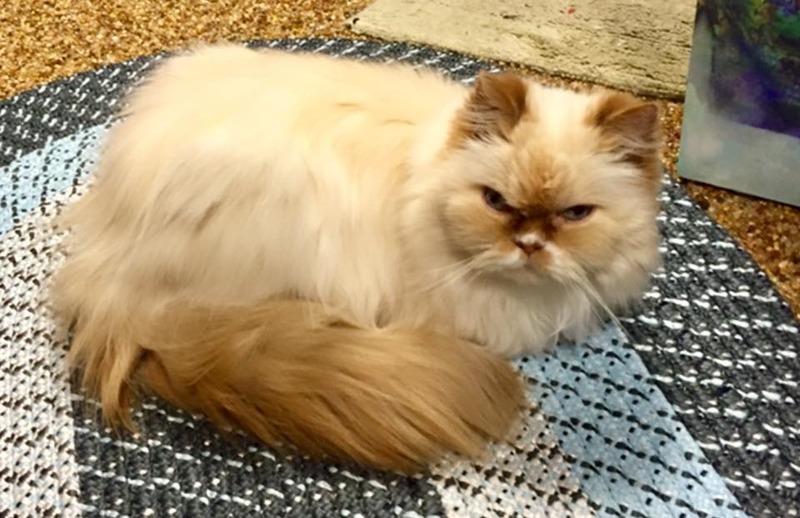 At least, that’s what information my family was given when we responded to a classified ad for this 15-month-old female sealpoint Himalayan in early January 1992. 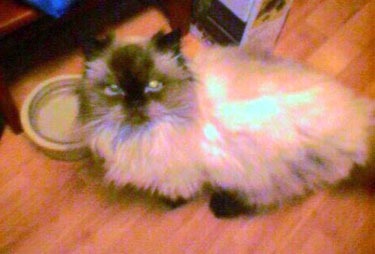 Kayla was part of my life from an evening in January 1992 until the morning of May 9th, 2010. 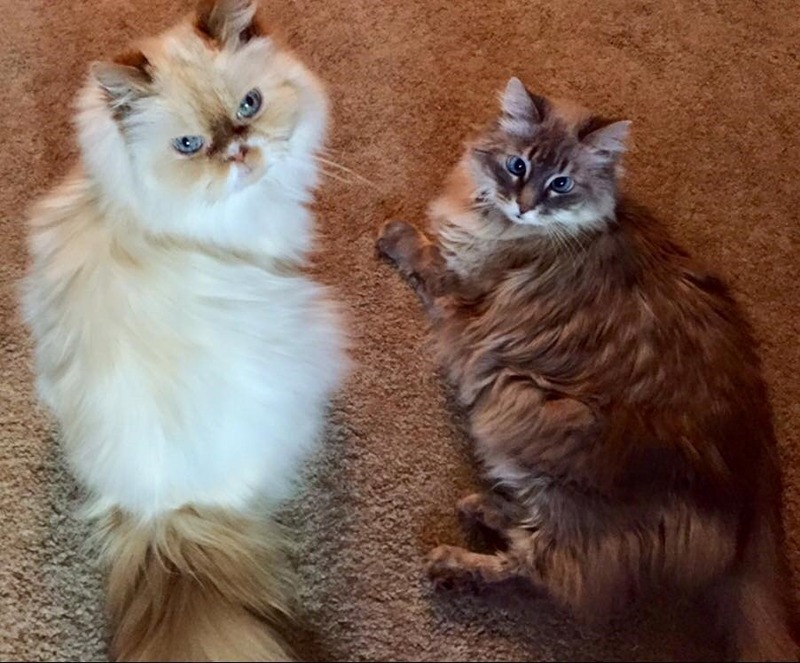 Just over 18 years. As we knew her exact birthdate, I’ve always observed it. 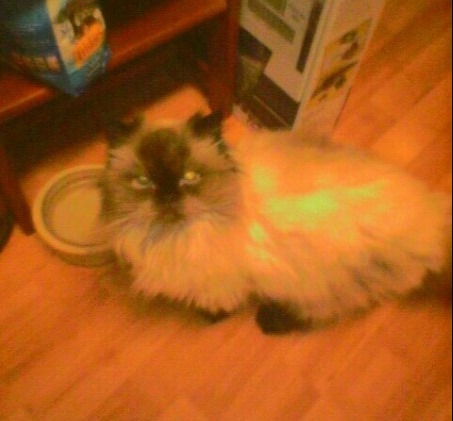 And though she’s been gone over 8 years now, she’s not forgotten, even as I’ve continued to grieve as I have over Ziggy these past 10 months, who I had a scant 7 years with where I expected at least as many more. (and it feels odd in a way to mention them together, as they never met, and my time with each of them is separated by months). Sometimes it seems like Kayla’s still just around some corner somewhere. 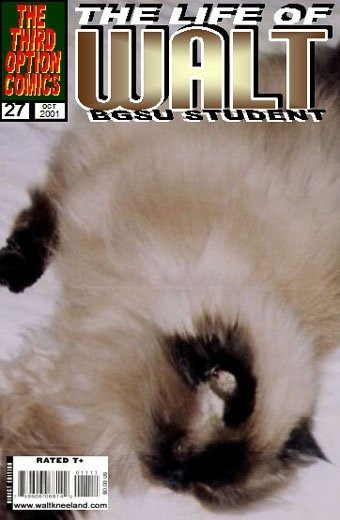 But as in years past, I’m taking a moment to publically remember my little cat. Today–October 4th–is the anniversary of her birth, back in 1990. It’s hard to believe that now, in 2017, it’s been nearly 7 1/2 years since losing her, back in May of 2010. 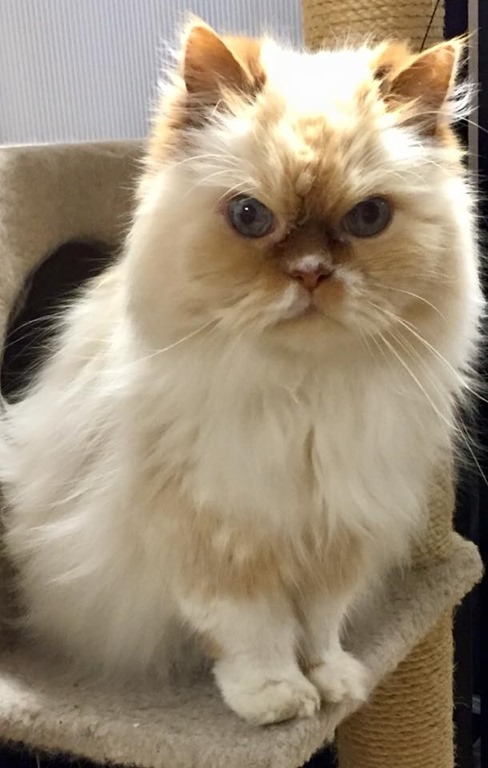 She’s the only cat I’ve had or ever known where there was a definite date of birth…Kayla was a "purebred," that Dad found in a classified ad when we started looking to get a cat, back in 1992. 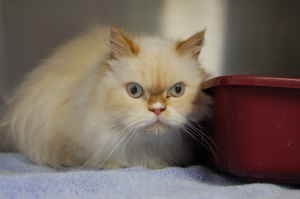 He’d been a fan of the Himalayan breed, and though I wanted a kitten, he followed up on an ad, and we wound up bringing Miss Kayla Krystal home one January Thursday. As a purebred, she came with "papers" detailing the date of birth, and so on. 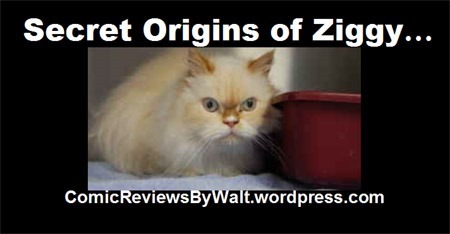 Said "papers" got stowed in a compartment on the plastic "pet taxi" vet-carrier and somewhere along the years disappeared. Because we didn’t care about ’em. 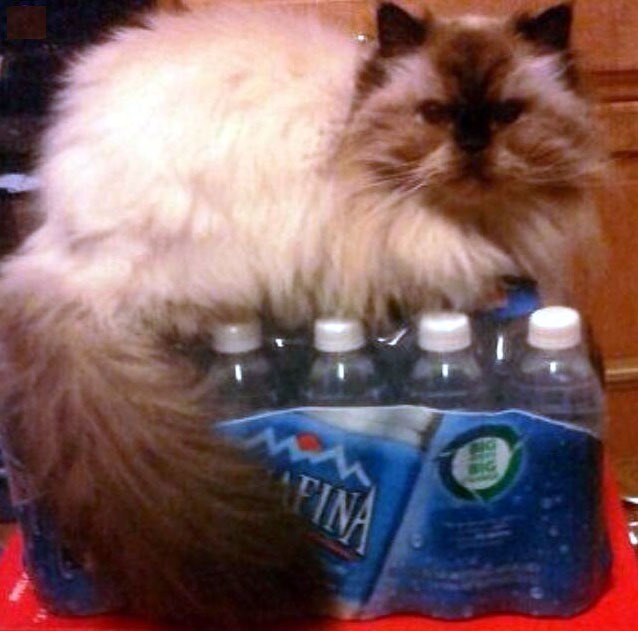 Kayla was instantly a part of the family, and other than as a clinical "fact," her being a "purebred" never mattered. 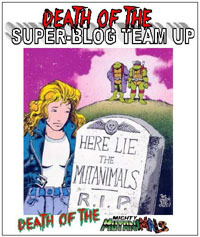 Even now, all these years later…I’ve yet to be able to string together a lengthy post about her. 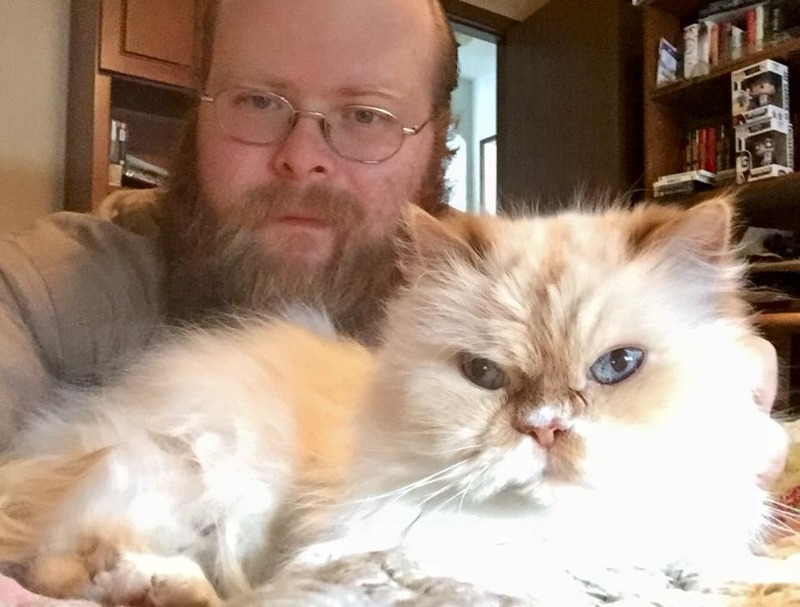 So many memories, across nearly 18 1/2 years…and for all the writing I do, have done, will do…there’s no doing justice to what this little cat meant to me. To date, she remains one of THE primary "constants" in my life, a presence far longer than anyone other than immediate family. She’ll always be here, until no one remembers. Always here, always part of my heart such a precious part of my life. 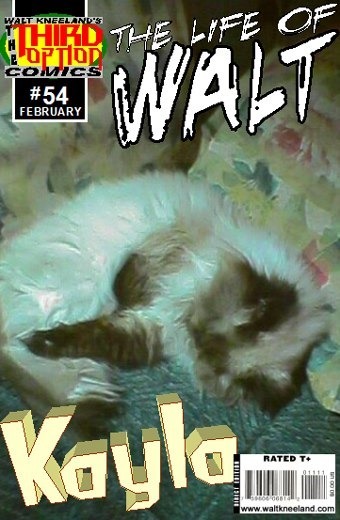 Below: several times Kayla was the focus of a "cover" in my The Life of Walt series of photo pieces. Kayla had a documented birthday, and the novelty of that and the impact it made on me (barely 11 at the time) stuck with me, cementing the date in my memory. October 4th, 1990. She was basically 15 months old when we got her in January of 1992. 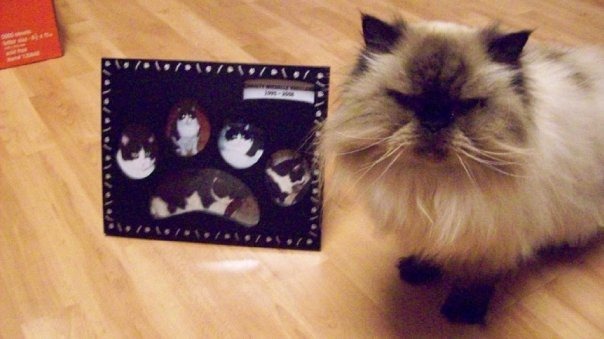 We had to say goodbye to her in early May 2010. While I’d known we didn’t have much time left with her, the exact timing still came as a shock, and crushed me. 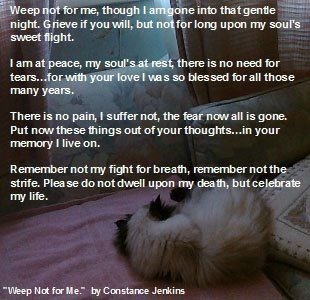 She’s still with me, often in thought, often in memories. One of extremely few constants in my years of life. But it’s not the loss I’m noting here…it’s her life. Though I have far too few photos of her, those I do have are too many for a post like this. I’ve selected a quick few to share. I’ve probably shared at least some of these previously, but I do so in the moment today without regard for prior sharing. 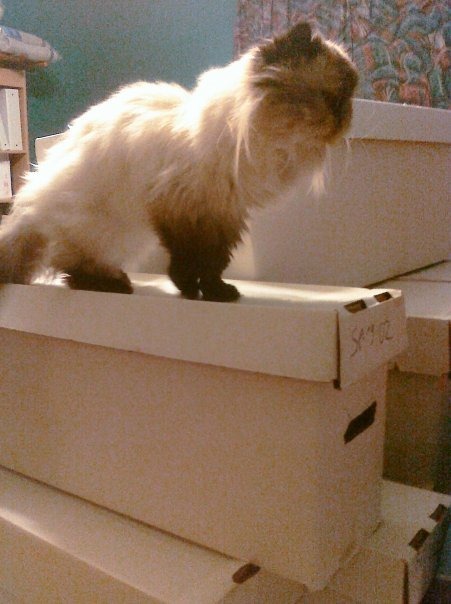 In one of my "go through a bunch of longboxes" projects in October 2009, Kayla joined me, curious about all the activity (if not just seeking attention/company…we were the only two living soul in that house at the time). 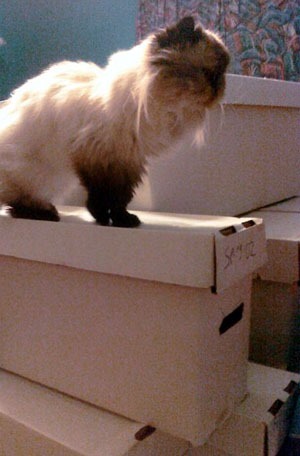 I had the boxes piled around, and she seemed to have a great time climbing around, checking them out. Kayla rarely would allow any box (or bag or other container that she could get into) last long without her getting into it or on it (or both). 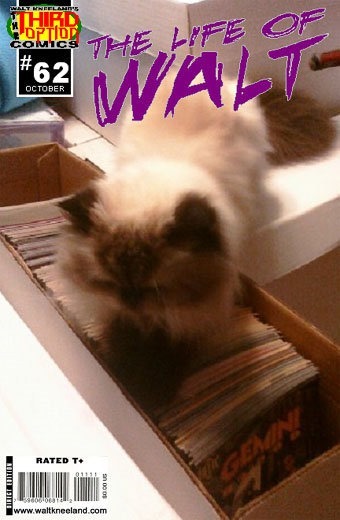 At one point, I’d left a longbox open without a lid, and she found it, and loved the texture of the comics–she hunkered down and pawed madly at ’em. 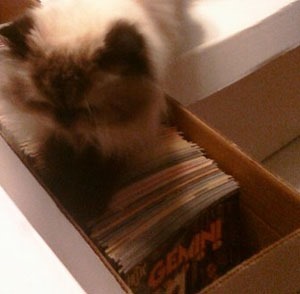 Some folks might’ve been horrified at the cat doing that to their comics…but me? I grabbed the camera and caught her in the act, comics be darned. 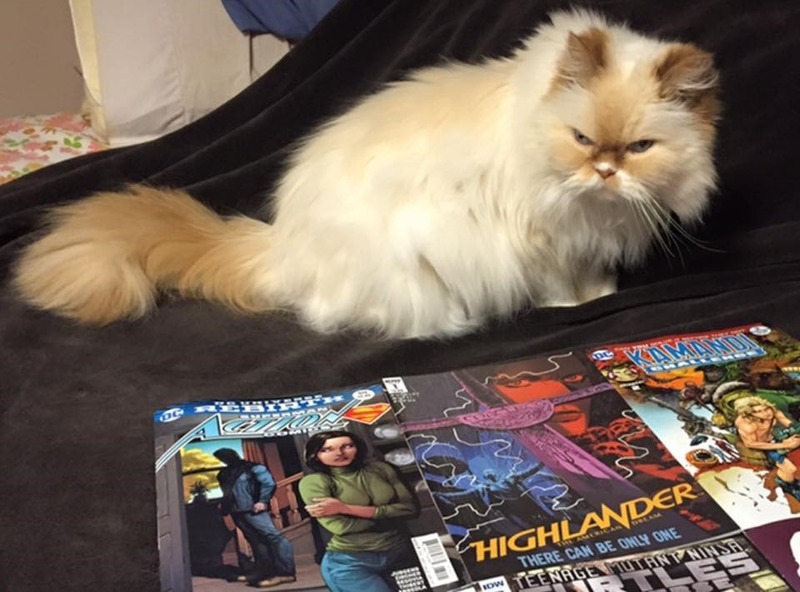 My kitty was engaging with the comics. Now, back in the early 1990s, there were a bunch of "local one-day events" for comics, including a "First Thursday of the Month" recurring event, held at a local hotel. 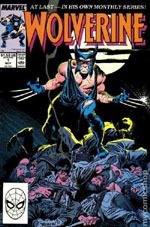 I’d convinced Dad to take me several times, and one of those times, I found what was at the time a true treasure for me–a $6 copy of Wolverine #1. Turned out it was a bit water damaged, hence the price at the time. Still, I had Wolverine #1! 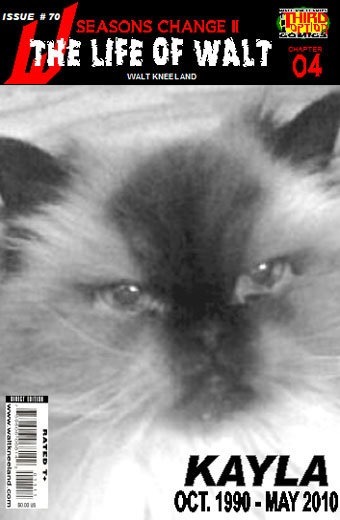 Kayla did not approve, and one day, I found the issue laying out on my bedroom floor. Kayla had pooped on it. Even though it was in a bag/board…I threw it out. I’d not been happy with the waterlogged nature of the thing anyway, so she did me the favor of providing an excellent excuse to trash the thing. (I later obtained a much better-condition copy for a whopping 25 cents!). Here she is kinda looking up at me taking the photo. 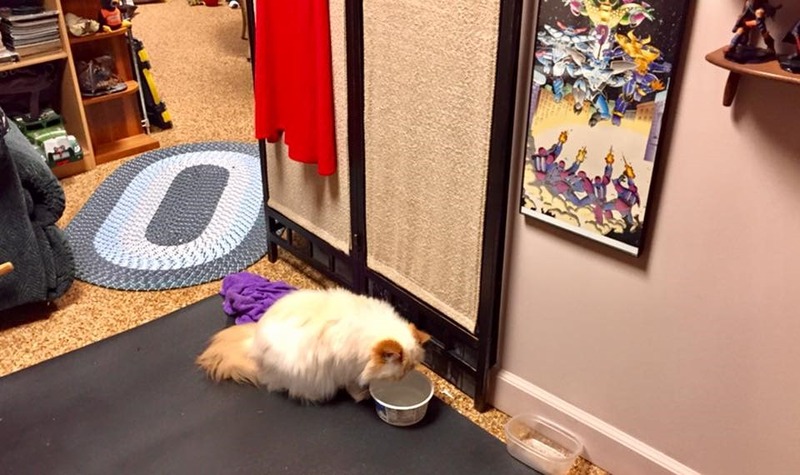 And here she’s simply settled in by her ‘feeding area’…in the later years, she’d sometimes sleep here…it was an out of the way corner where she wouldn’t be bothered; she had the cool floor and often a sunbeam…and she was already by the food and water. 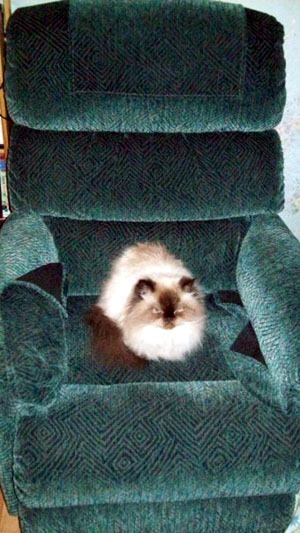 I really like this photo of her in a recliner. Big ol’ chair, small little cat. 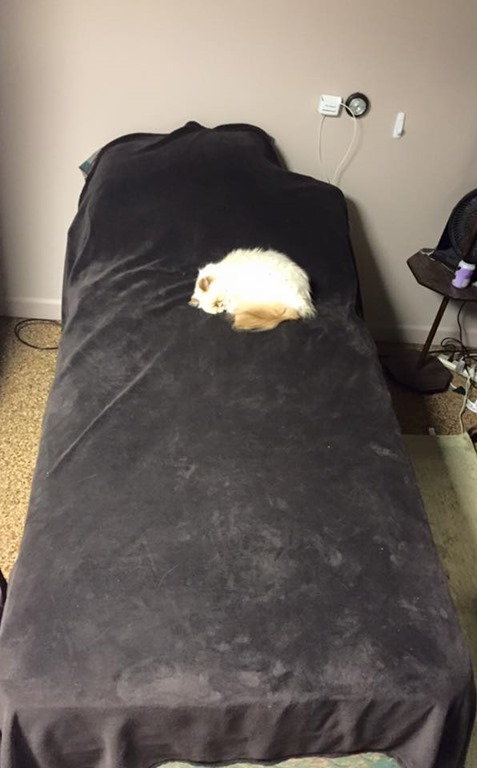 Like a throne. And she was definite royalty, at least to me. 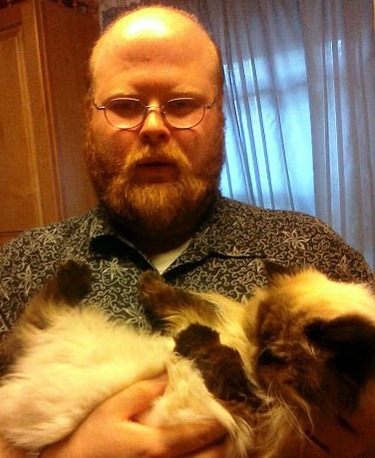 This one’s also less than wonderful of me, but has me holding Kayla. 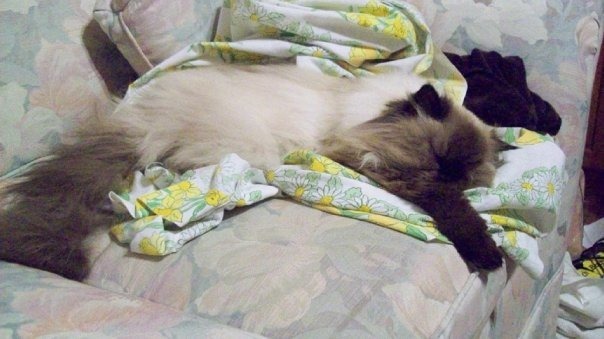 She was a ‘purebred’ Himalayan…but I’d swear she was part ‘Ragdoll’ the way she’d let me pick her up and she’d just go with it, totally chill. 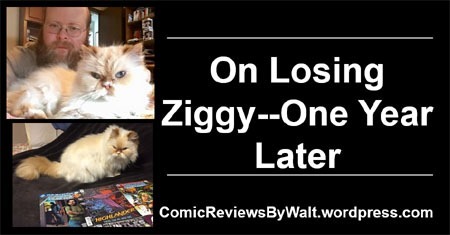 (By contrast, present-day, I pick Ziggy up and he squirms almost immediately to be put back down). I could pick Kayla up randomly, and she’d just settle into my arms–even when I’d pick her up and hold her like this on her back. Miss Kayla Krystal. October 4, 1990 – May 10, 2010. Today is the 26th anniversary of her birth. 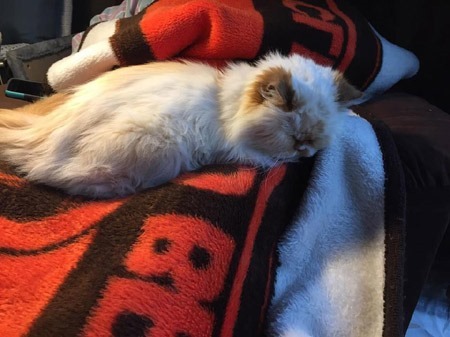 And as far as I can tell, and as far as I did my best in my part to do so, she had a great life…19 1/2 years, just over 18 of which she was part of my life. 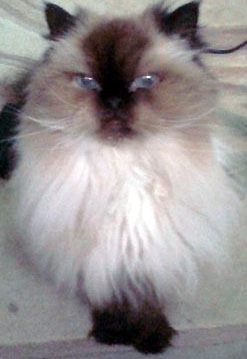 25 years ago today, Miss Kayla Crystal was born…a purebred Himalayan. 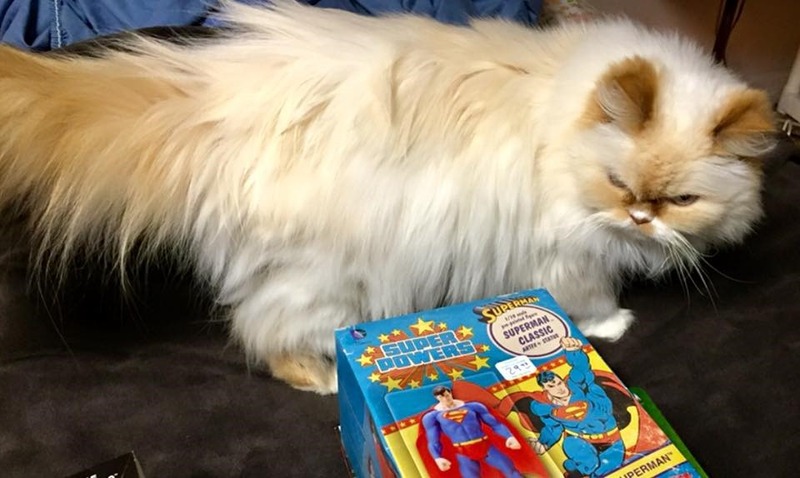 At 15 months, she joined our family–I was 11 at the time. 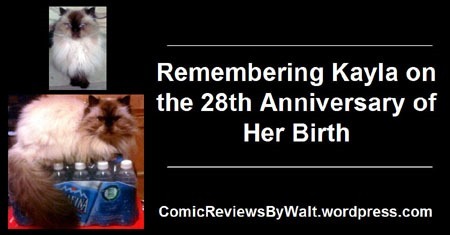 She was just Kayla to us–our cat, a part of our family. 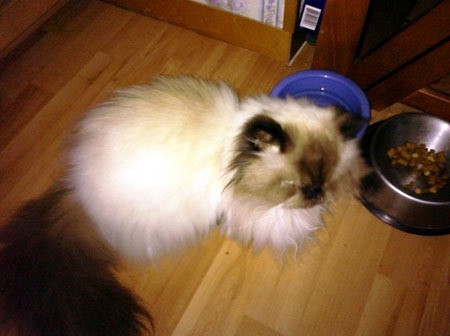 Being a Himalayan was incidental to the fact of her place with us. 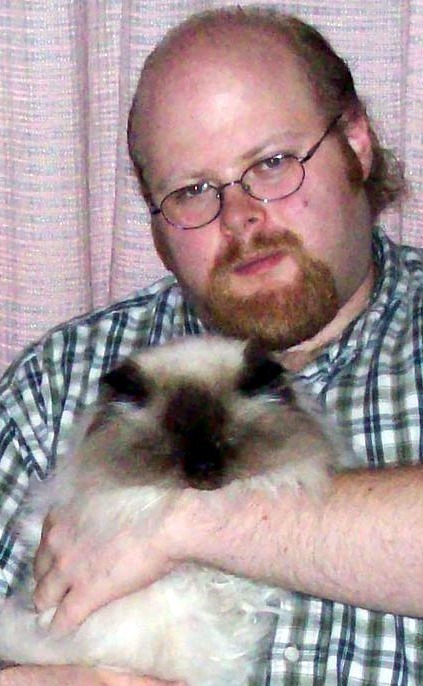 Though she left this world in May 2010–nearly 5 1/2 years ago (preceded in September 2008 by our younger cat Christy), her memory is still there, is still here, is still part of me, she is still in my heart and memory and mind and…there just aren’t words for this feeling. 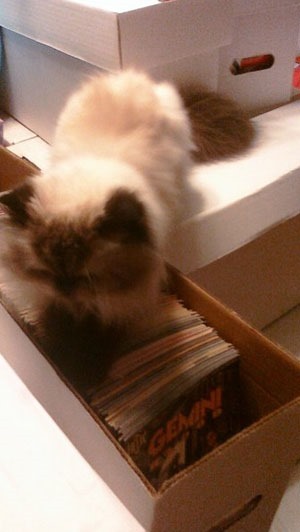 One of my favorite memories of her, from 2009…I was searching comic boxes, and curious as ever, she joined me, and seemed to really enjoy climbing on the boxes, pawing at them, and even at one point found one I left a lid off and I caught her pawing madly at the tops of some comics. Where some might’ve been horrified…I just wanted the photo of her doing that.